Do you have a loved one who enjoys working on cars? Whether your husband or wife, son or daughter, aunt or uncle, or another loved one spends a lot of time tinkering around in the home garage, give this special person something meaningful this Christmas. Here are six of the best holiday gifts for the mechanic in your life. Nothing makes loosening or tightening bolts easier than having the proper tools at your disposal. That’s why every mechanic should have a durable ratcheting socket wrench set in their toolbox. No matter how tight a bolt is, a ratcheting wrench makes it easy to finish the job without stripping or rounding the bolt or injuring your wrist. Several varieties are available, including indexing and reversible wrench sets in standard and metric sizes capable of long pattern ratcheting, flex head ratcheting, and more. Never again will the mechanic in your life be bested by a stubborn bolt! Whether amateur or professional, all mechanics need a reliable car jack to perform certain tasks. A standard floor jack is essential for under-car services, and an exhaust jack makes rotating tires and changing the brakes a fast and easy task. If your mechanic friend has one type of jack but not the other, complete their set this holiday season with this thoughtful and practical gift. Cars are complicated machines, and a wide variety of problems could cause the same symptoms to develop. Diagnostic scanners are the standard tool to use, but these cost thousands of dollars, putting them out of reach for many casual mechanics. That’s why a small, inexpensive, easy-to-read auto code reader is such a handy device for a mechanic. Plug it directly into the car and read the code description that indicates what’s wrong. Compare the code to a diagnostic chart, which you can find online, to figure out the problem and determine the proper course of action. The perfect companion to an auto code reader is a digital volt/ohmmeter (DVOM), which helps you get at the root of the problem quickly and efficiently. This device allows a mechanic to monitor live data from a specific engine control component. Using the code reader in tandem with a DVOM tells the mechanic precisely what’s wrong to ensure the fastest possible fix. Mechanics have all sorts of tools strewn about the garage. It’s easy to lose something important or simply forget where you set it down. Since screwdrivers are one of the most fundamental tools for any DIYer, it’s handy to have a version that fits right in your pocket. That’s where the pocket screwdriver comes in. You can find several versions with short handles and interchangeable heads that simplify any mechanic’s toolbox. Some even come with added features, such as a built-in flashlight or battery pack for wrist-saving power. It can be difficult to see what’s going on under the hood or body of a car. This makes a flashlight an invaluable tool for a mechanic. However, the worst thing that can happen is for the battery to give out right when you need it most. The solution is a rechargeable flashlight that mounts to a dock overnight, ensuring full battery power the next day. It’s handy to have a mechanic in the family, but when you need more in-depth work done on your car, be sure to visit Scott’s Fort Collins Auto for all your service needs. 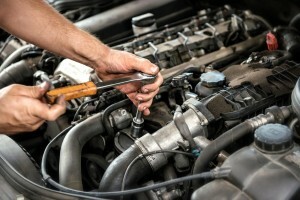 We do everything from oil changes to car battery testing to timing belt replacement. Give us a call at (970) 682-4202 with any questions or concerns you have, or schedule your next appointment online today!